Come see us at our booth! If you plan to walk/run, register here. 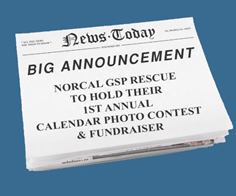 1st Annual Photo Contest and Fundraiser! More details and contest rules coming in July, so stay tuned.